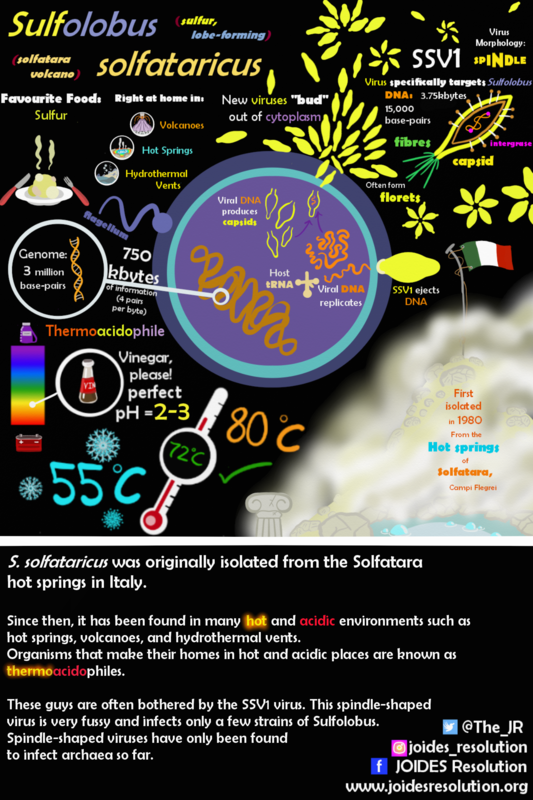 Sulfolobus solfataricus was originally isolated from the Sulfatara hot springs in Italy. 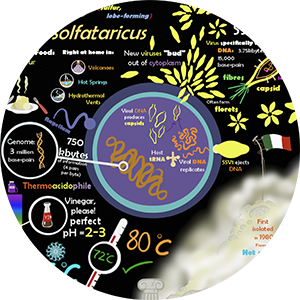 It is a mobile thermoacidophile Archaea as it has a clock-wise flagellum and is found in hot and acidic environments such as hot springs, volcanoes, and hydrothermal vents. Sulfolobus is a sulfate-reducer that uses sulfur as an energy source and converts it into sulfuric acid.